1) If someone is waiting for a machine you are working on, what should you do? A) Allow them to work in with you. B) Finish all of your sets, then let them use the machine. C) Let them know you will be finished in five to ten minutes. D) Ignore them, and go about your workout. E) Find another machine so they do not have to wait on you. A) When others are waiting, remain on apparatus until you are finished with all your sets. B) When you are planning to use more than one set of weights, re-rack the weights you are not using at the moment so others can use them. C) Leave the equipment sweaty since the floor attendants can clean up after you. D) Checking for others behind you using the mirror. A) Asking someone to work in while they are performing their set. B) Asking a fellow exerciser to give you a spot between their sets. C) Leaving a cable attachment on a pulley machine. D) Exercising in front of the dumbbell rack so others can walk behind you. 4) After your have performed an exercise, what will you do with the weights? A) Go home and let the fitness attendants take care of them, because that is the reason they are working there. B) Put them back on the racks any where I can find room since no one else cares to put them in any particular order. C) Leave them out so that the next person has easier access to them. D) Put them back on the racks in the correct order and place. A) Leave a set of 45 lb plates on the leg machines since most everyone uses at least this amount of weight. B) Horse play is allowed as long as no one is hurt. C) If weights were not put back in their proper location, it is all right to leave them out where you found them. D) Sitting up with the dumbbells instead of dropping them to the floor. E) Grunting loudly so others know how hard you are working. A) Make sure you know what you are doing and that you have been properly instructed in the safe and proper technique. C) Put on all the weight you think you can possibly handle and try to lift it. D) Warm-up before your first maximum attempt. 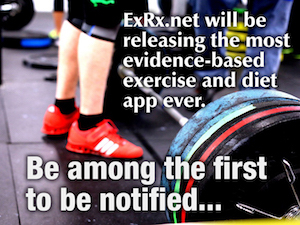 E) Tell the spotter(s) how many repetitions you think you can perform before you attempt the lift. 7) Generally speaking, after training with weights, you should allow how much recovery time before retraining the same muscle group? A) May increase a specific type of muscular endurance. B) May result in slightly greater strength gains but additional improvement is relatively small. C) May increase strength gains proportional to the number of sets performed. D) May increase the rate of muscle growth proportional to the number of sets performed if accompanied by a proper diet. 11) What are the benefits of performing a warmup set (e.g. half of your workout weight) before your workout set(s)? A) Muscles and joints will be less susceptible to injury. B) Muscles can contract with greater intensity during workout set(s). C) Form and breathing can be rehearsed. D) Added character due to the humility from others seeing you use such a light weight . 12) What is the recommended breathing pattern during weight training? D) Holding your breath momentarily during the hardest portion of the exercise. E) Although "D" is performed by advanced weightlifters, both "A" and "C" are recommended. 13) What are the duties of the fitness staff at the typical exercise facility? C) Introduce more sport specific exercises (i.e. cleans, plyometric jumps) into a program before training for general muscular fitness. B) Adjust the bench press rack and the squat rack at the highest position of the barbell at full extension.